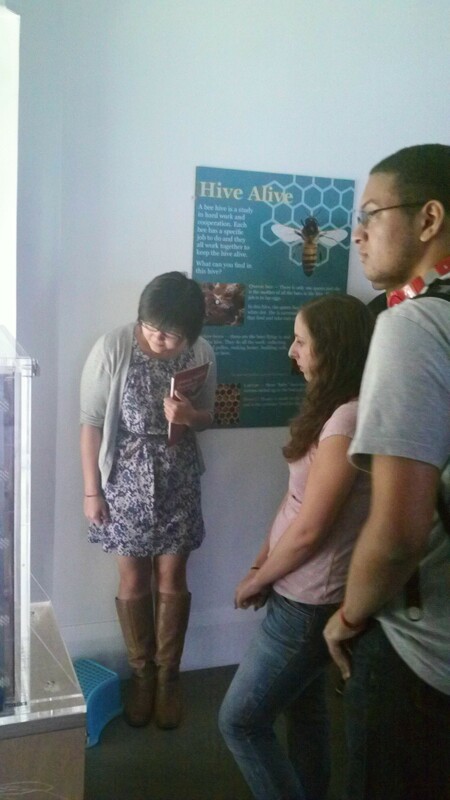 The Saint Mary’s College App team visited Lindsay Wildlife on September 8, 2013 for a behind the scenes introduction to the museum. In addition to the informative walk through the exhibit hall and an introduction to the animal hospital facilities, team began a discussion of features to incorporate into the planned app. The meeting represented a first visit to museum for many of the student app creation team. 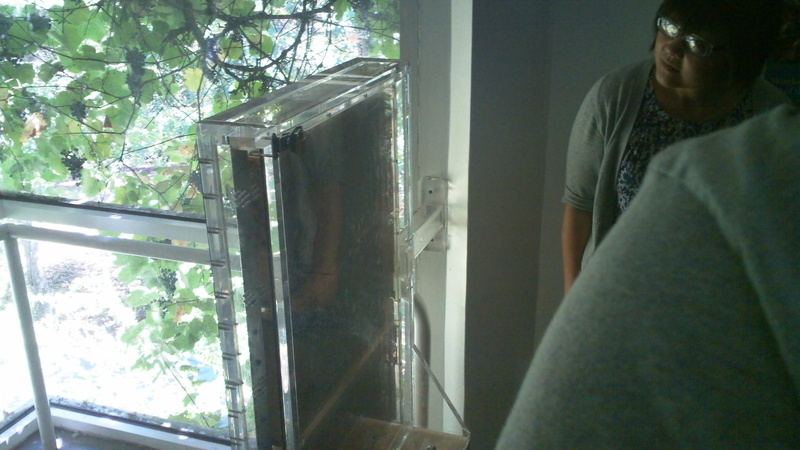 The team observed the many animal ambassadors and as shown in the photo, a simple yet effective display of a bee hive. The student team and their mentor agreed to have a storyboard presentation on the app on October 6, 2013. 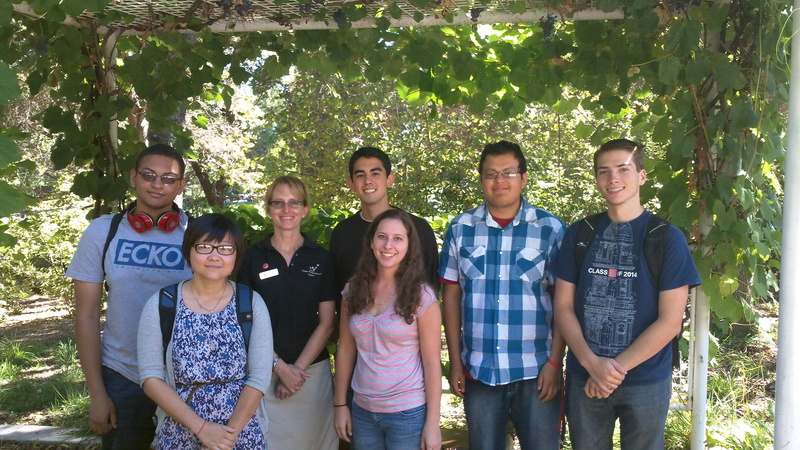 Posted in Saint Mary’s College of California & Lindsay Wildlife Museum and tagged App team.